Leroy Schaneberg was born on March 29, 1940, in Flagg Center, Illinois. He enlisted in the Aviation Cadet Program of the U.S. Air Force for Navigator Training on October 13, 1959, and was commissioned a 2d Lt and awarded his navigator wings at Harlingen AFB, Texas, on September 22, 1960. Lt Schaneberg next attended Navigator Instructor School before serving as a Navigator Instructor with the 3611th and 3612th Navigator Training Squadrons at Harlingen AFB from February 1961 to January 1962. His next assignment was as a Navigator Instructor with the 3667th, 3567th, and then the 3569th Navigator Training Squadrons at James Connally AFB, Texas, from January 1962 to May 1966, followed by Undergraduate Pilot Training from May 1966 until he was awarded his pilot wings at Laughlin AFB, Texas, in May 1967. 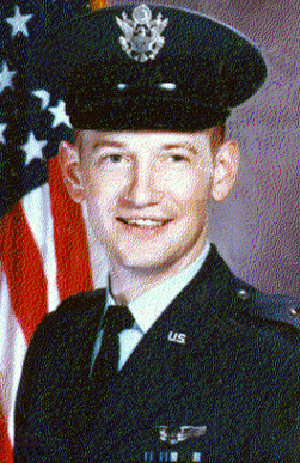 After attending KC-135 Stratotanker Combat Crew Training, Capt Schaneberg served as a KC-135 pilot with the 305th Air Refueling Squadron at Bunker Hill AFB (later renamed Grissom AFB), Indiana, from September 1967 to March 1969. He then completed Helicopter Pilot Training in June 1969, and HH-53B Super Jolly Green Giant training in October 1969. His final assignment was as an HH-53B/C pilot with the 40th Aerospace Rescue and Recovery Squadron at Udorn Royal Thai AFB, Thailand, from October 1969 until he was killed in action in Laos on June 30, 1970. His remains were returned to the United States on March 24, 1993, and he was buried at Arlington National Cemetery. The President of the United States of America, authorized by Section 8742, Title 10, United States Code, awards the Air Force Cross to Captain Leroy C. Schaneberg, for extraordinary heroism in military operations against an opposing armed force as an HH-53C Aircraft Commander in Southeast Asia on 30 June 1970. On that date, while piloting a rescue helicopter, Captain Schaneberg penetrated an area of known hostile concentration in a valiant attempt to rescue an injured American pilot. Undaunted after having to abort his first effort and without regard for his personal safety, Captain Schaneberg elected to make a second rescue effort. As the helicopter neared the survivor, it sustained severe battle damage, forcing Captain Schaneberg to abandon the attempt. With great courage and determination, Captain Schaneberg tried to save the aircraft and his crew, but the badly damaged helicopter became uncontrollable, impacted the ground, and exploded. 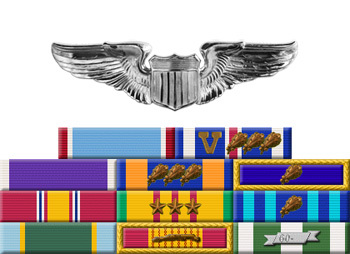 Through his extraordinary heroism, superb airmanship, and aggressiveness in the face of hostile forces, and in the dedication of his service to his country, Captain Shaneberg has reflected the highest credit upon himself and the United States Air Force.